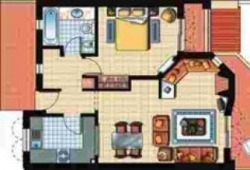 1 bedroom apartment in the Club Albufeira Holiday Resort. 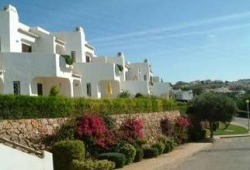 Club Albufeira is a nice holiday resort and is open all year round. There is a transfer bus available, that can take you to the beautiful golden sandy beaches or to the Old town of Albufeira, where you will find all the amenities. The resort has an on-site mini market; two restaurants and each of the four pools have their own pool-side cafeterias. The apartments are fully equipped for self-catering and are of exceptionally high standard. The friendly multilingual reception office is open 24 hours daily, providing help and assistance to guests, as well as being a centre to arrange day excursions to the nearby places of interest and arranging discounted golf fees for the local golf clubs.